Is my Ontario Car Insurance Enough When Renting a Car? With the winter season upon us in full force, it’s a time that many in Ontario will go on a trip to beat the cold and find some warmth. It’s also a time when many head out to visit family and friends for the holiday season. 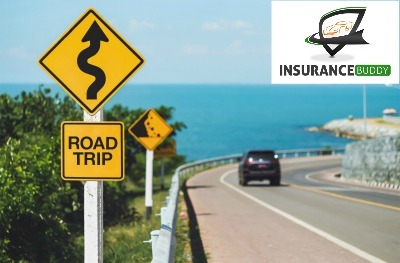 If your travel plans involve renting a car, you might wonder about whether you need to go for the insurance coverage offered by the rental company or whether your own Ontario car insurance is enough. ~ In Ontario, there is an endorsement that offers extra coverage for any liability for damage to a car that you do not own, which would also apply to a rental car. This exclusion is referred to as the OPCF 27, the “Legal Liability for Damage to Non-Owned Automobiles” or the “Rental Vehicle Insurance Endorsement.” Check to see that you have this in your plan before refusing the collision damage or loss damage option from the car rental company. ~ If you do have the OPCF 27, you are covered for damage in Canada and the US but note that outside of North America you will need to purchase this coverage. ~ Remember that if you’re planning to leverage your existing coverage for a car rental, the rental must be in your name. In other words, the name of the Ontario car insurance being leveraged must match the name of the person renting the car. Other drivers may not be covered. ~ Don’t have this endorsement, but plan to rent a car (or do so on a fairly regular basis)? You might want to consider adding it to your coverage as it may end up being cheaper than always purchasing the additional coverage from the rental company. ~ If you have an accident with a rental car, it will be applied to your driving record and may affect insurance rates. ~ Look over the added fees for the rental in the event of an accident. There may be fees that your car insurance would not cover and that you would be on the hook for. ~ Consider the type of vehicle you’re renting. If you drive an older vehicle and you’re renting a newer, more expensive vehicle, you could be on the hook for repairs and related expenses since your insurance covers a car that is worth less. Also think about the type of vehicle you’re renting. If you’re renting something larger than what you normally drive, like a moving truck, you probably would not be covered. ~ 3rd party liability coverage differs from plan to plan, so contact your insurance provider to make sure that yours is also sufficient when renting a car. Also confirm about the location of your travels. Again, it is very common that coverage would only include Canada and perhaps the US. ~ Same goes for any accident benefits you have. Confirm, confirm, confirm! ~ If you’re renting a car for business or commercial use, this may not be covered with your personal car insurance plan. Be sure to double-check. Before you decide to forgo car rental coverage, or assume that your own Ontario car insurance will be enough to cover you, it’s important to inform yourself. Review your policy, get in touch with your broker, do what you need to do to ensure that you are properly covered. If you’re going to use coverage offered by your credit card, the same applies. Inform yourself to avoid any unpleasant surprises and serious financial liability should something happen. Do You Really Need Car Rental Insurance? – HowtoSaveMoney.ca (this article also offers a really good breakdown of the different types of coverage offered by car rental companies). If you have any questions at all about car insurance and rental cars, please get in touch with our team. Click here if it’s an auto insurance quote you’re after. And we also offer travel insurance if you need coverage for your trip. Go here to learn more.